As you can see whey protein powders rank at the top of the chart for bioavailability with whole eggs leading the pack for whole food sources. Remember that score is for the yolk and white while white alone trails behind. The most interesting part about the bioavailability scale is how highly animal proteins score as opposed to plant based proteins. Plant based proteins may in theory contain a good amount of protein but when it comes down to it only some of that protein is usable by the body. Bioavailability is something important to consider when choosing protein sources as it allows you to see what may be the best bang for your buck. For example you would need to eat twice as many servings of beans to equal one serving of whole egg protein. 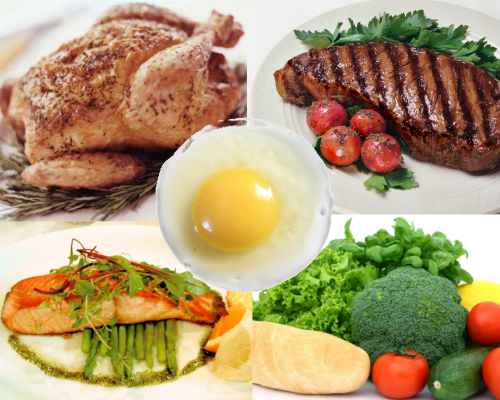 The healthiest and best way to get your protein is through various sources, for instance using whey powder in a few shakes throughout the day, some eggs for breakfast and beef for dinner. By varying sources you will take advantage of each proteins unique range of amino acids and accompanying vitamins and minerals ensuring you are taking in a wide spectrum of nutrients. This entry was posted in Nutrition, Protein and tagged animal protein, beef, chicken, diet, eggs, fitness, health, nutrition, plant protein, protein, protein powder, whey protein. Bookmark the permalink.